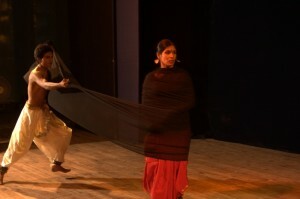 This dance theatre production focuses on issues related to women, farmers and Mother Earth. We are showcasing the first segment: a woman. It is an expression of protest and strikes at the power equation between man and woman, a shift in gender politics while pointing to the power loathes and exploitation from the times of documented history. 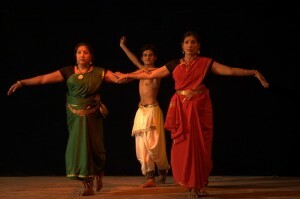 Premiered in the year 2008 in Aurangabad, the first segment of this presentation concerning women has been recently presented in New Delhi in March 2013 as part of National festival of music and dance with the theme “Safe & Secure Delhi, in particular to make women’s lives more safe and secure in Delhi and other places in the country” by India World Cultural Forum. 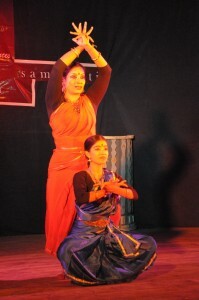 Samskriti – a festival of classical dance, Aurangabad. The Nehru Centre, London, Indian High Commission. Written and Directed by Ramdas V Pawar. Music composition & effects : Kedar Deshmukh, Shivajirao Gaikwad & Ramdas V Pawar. Concluding song “Kali Rave”: Based on lyrics composed by “Mahadev Sambho” (Late Sri Goparaju Venkata Subba Rao, maternal great grand-father of V. Soumyasri) & Dance Music composed by Dr. K. Uma Rama Rao (Lasya Priya, Hyderabad). 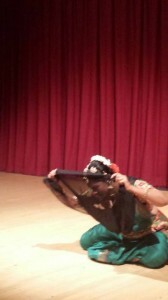 Performed by V Soumysri and disciples. Time 25 mts, Music Recorded. ← Cultural Tour – UK, 2014.